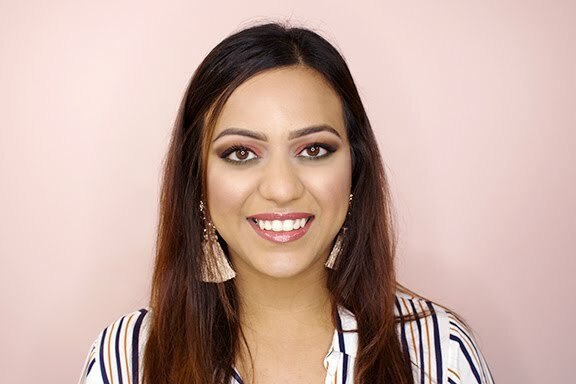 The cushion foundation has been SO popular in the beauty community this summer and that only meant one thing: I had try it. I've been using skincare products from THEFACESHOP for years now but didn't get an opportunity to explore the makeup line until now. The brand recently came out with a series of cushion foundations including the one that I tested this week called CC Intense Cover Cushion! The packaging can be a little overwhelming when you first look at it. While the product is similar to liquid foundation, the main difference is how it dispenses. I began by dabbing gently, grabbing very little product because I wasn't sure what the coverage was like. Oh man, was I pleasantly surprised by it all! 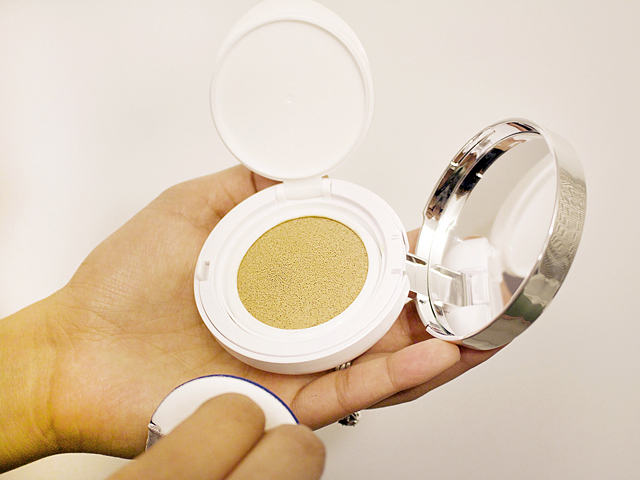 THEFACESHOP's CC Intense Cover Cushion is build-able with every layer, and gives your skin a dewy finish. 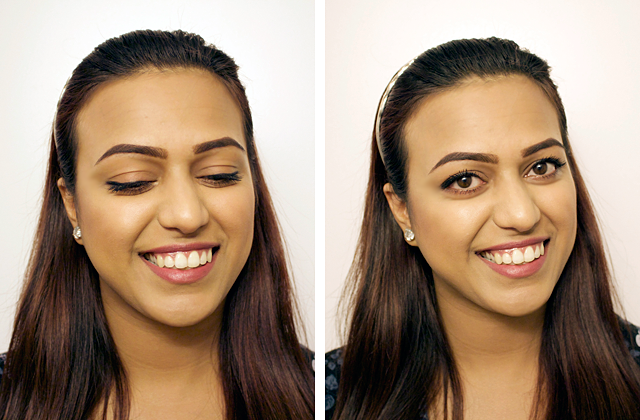 Besides bronzer and blush, I'm not wearing anything else on my face (in these photos). I wanted to see how well it would last without concealer or powder to keep it all intact. 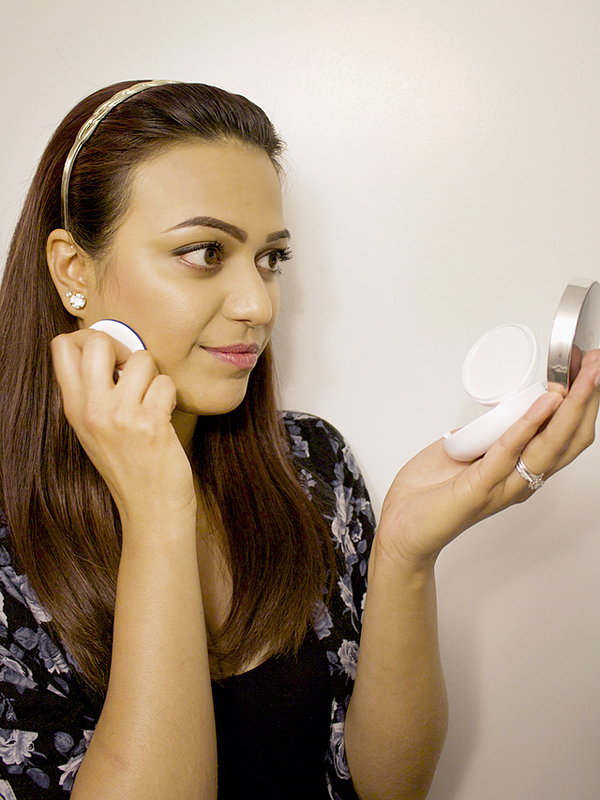 The foundation felt moisturizing and provided just enough luminosity without making it look like I was sweating! That is definitely a big +1 for me, because in the summer it always feels like foundation is melting off your face. I was also very happy to see that it was still on my face by the end of the day. The applicator - the fabric seeps more product than it dispenses and doesn't apply evenly. I immediately began to notice the difference as soon as I switched to my beauty blender! The formula - dries VERY fast, which means you have to blend quickly as you dab the foundation on your skin. This also became easier as soon as I stopped using the applicator that came with the product. Regardless of those two factors, I still highly recommend THEFACESHOP's CC Intense Cover Cushion (my shade is V205 Dark Beige). If you're looking for a lightweight formula to add to your daily routine, or even just to enjoy the last few days of summer with, this would be perfect for you.